Create and remove databases used by your websites, and manage them using integrated administrative web application. Ob the left, click the button labeled "Databases." 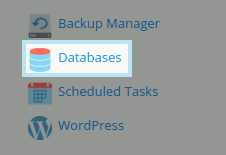 On the next screen, you will see the option to "Add New Database" and, if you already have existing databases, you will see them listed near the bottom. 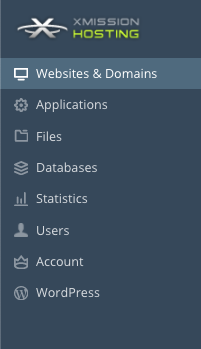 To add a new database, simply click the button labeled "Add New Database." Now, you should see the screen below. The only field you can make changes to -- and it is necessary to do so -- is a unique name for your database. 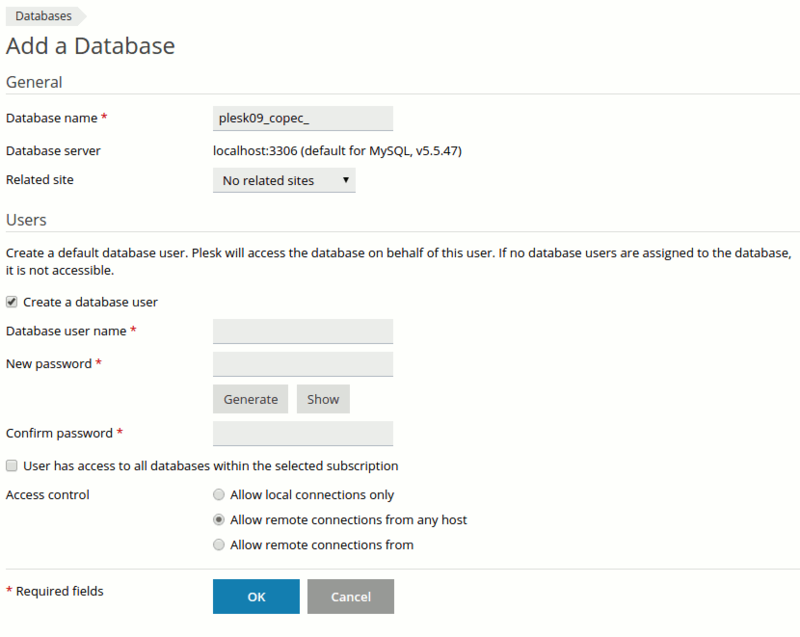 To manage your existing databases, please read Managing MySQL.